It’s beginning to look a lot like Christmas, especially now that Caprice De Luca has wrapped up her holiday-themed staging gig at a stunning historic home in downtown Kismet, Pennsylvania. Behind all the red ribbon and glowing string lights, homeowners Chris and Sara Merriweather have it all. But Chris, a Vietnam vet who plays Santa every year at the community park, has been displaying strange behavior after a recent trip to Washington, D.C. 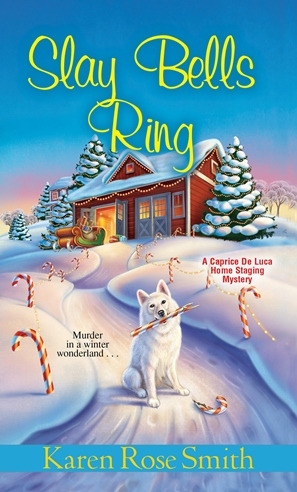 The joy of the season vanishes entirely when Chris is found murdered on Santa Lane, leaving behind his loyal malamute and lots of unfinished business. 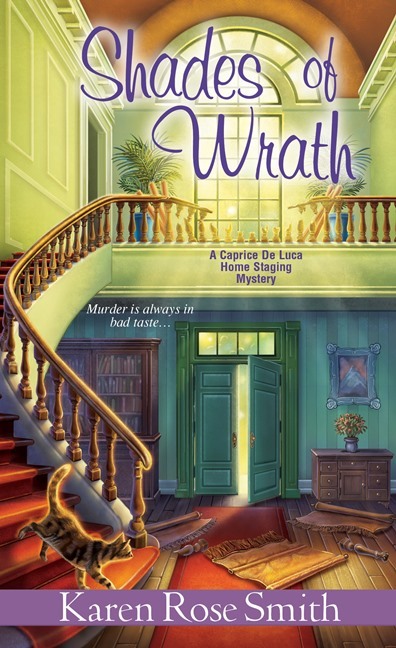 As Caprice uncovers hidden secrets in Santa’s workshop, the pressure is on to catch the candy cane-wielding culprit–before she’s next on a killer’s deadly wish list . .
Book 6, Caprice De Luca Home Staging Mystery series. Between her booming business, her family, and her work rescuing stray animals, home stager Caprice De Luca’s life is packed. 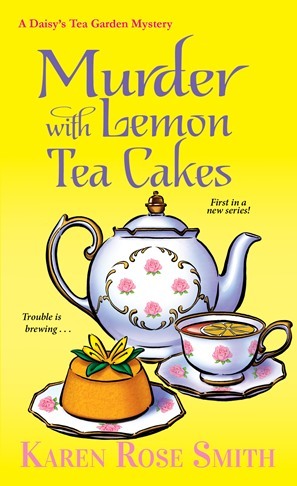 But when a murder unsettles peaceful Kismet, Pennsylvania, she adds amateur sleuth to her resume. Thanks to a wealthy patron, Kismet’s women’s shelter, Sunrise Tomorrow, has inherited a run-down mansion. Now the shelter’s director, Wendy Newcomb, wants Caprice’s decorating expertise. Caprice is happy to help, but when she glimpses a few heated encounters between Wendy and some locals, she fears that Wendy may be in need of protection herself. A WEDDING IN THE WORKS? We here at the Gazette are amazed to report that trust-fund cowboy Hudson Jones may soon be off the market. The boyish billionaire has been spending more time than ever with Bella Stockton, who manages his day-care center. It seems impossible that quiet, reserved Bella would have captured the fancy of such an alluring specimen of manhood. Bella finds it hard to believe herself, and she keeps pushing Hudson away. What are the odds the footloose cowboy will stick around once he finds out she can’t have kids? Don’t tell Bella, but our sources report Hudson has his heart set on a Christmas proposal. 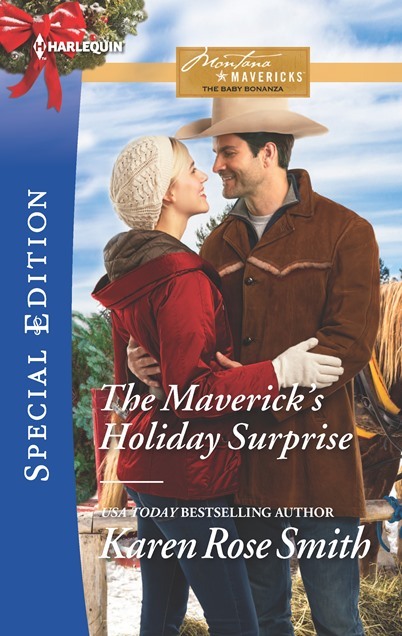 When he finds out the truth, will it still be a holiday to remember? To my dad who would have been 100 years old this year. With his 35 mm camera, he gave me my love of capturing memories with photography. I miss you, Daddy. Melanie Carlotti lost everything, including her eyesight. Because of a donor, she regained it again. But with this gift came haunting dreams, a man’s face and questions to be answered. 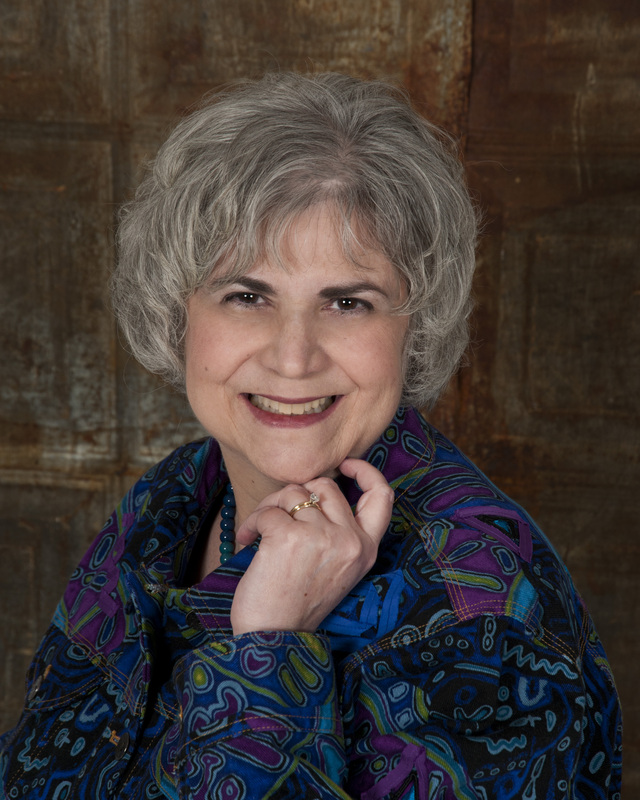 Thanks to the help of a psychic, Melanie discovers the identity of her donor. She steps into the life of her donor’s husband Zack and toddler Amy, finding clues but not the definitive answer and peace. 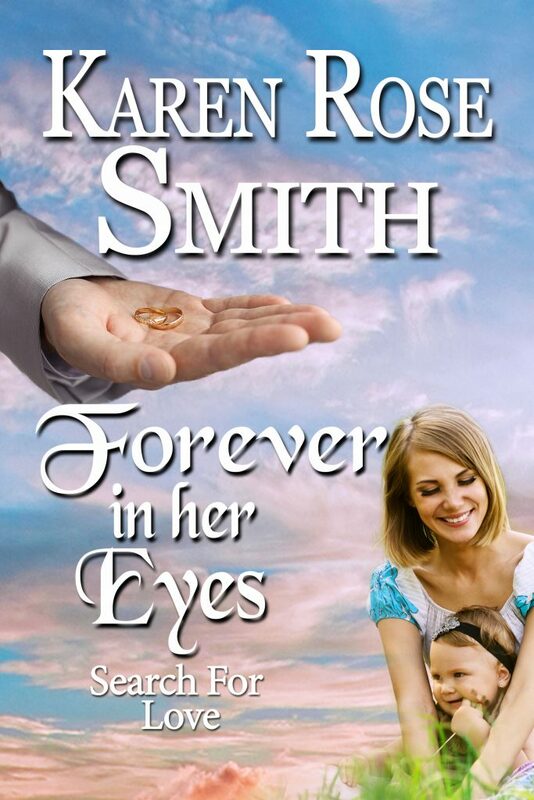 Until…she realizes she’s in love with Zack, not because of his wife’s memories that accompanied Melanie’s cornea transplant, but because of her own feelings for this widowed single dad.